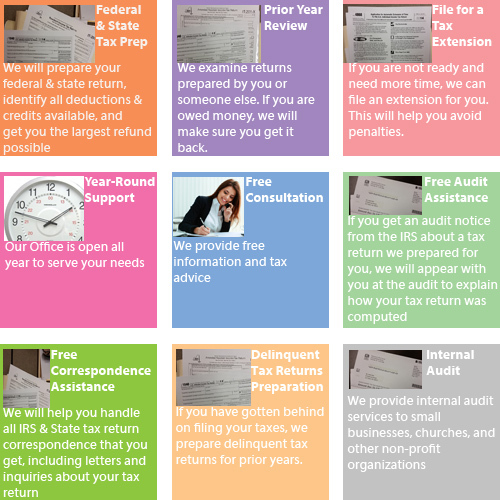 Deborah Holloway Income Tax & Accounting Services provides consulting, accounting, internal auditing, and tax preparation services to individuals, small business owners, churches, and other non-profit organizations. Deborah Holloway-Egbuna is an experienced accountant with over 40 years of experience. She holds a Bachelor of Science degree in Business Administration/Accounting and Mathematics from SUNY Albany, and an MBA degree in Accounting from the University of Wisconsin–Madison. Deborah’s growth and business success come from the quality of her work, the high value she places on providing good solutions, and her excellent and personable customer service.